A gleaming building at UW-Whitewater whose name reflects the region's ancient geology has won recognition for its modern sustainability features. Laurentide Hall, named for the ice sheet that once towered over the area, has received LEED certification for its energy-saving systems, indoor air quality and waste reduction and recycling. LEED stands for Leadership in Energy and Environmental Design, the rating system of the U.S. Green Building Council that certifies achievements in the design, construction and operation of buildings. Environmental recognition for Laurentide is especially gratifying because UW-Whitewater has a new environmental science major and hopes to use the building as a showcase for students, said David Travis, dean of the College of Letters and Sciences. As associate dean, he oversaw the $18 million project that transformed Carlson Hall, built in 1972, into a new home for about 175 faculty and staff members of the college. It also includes study spaces for students and room for student organizations. "We really had to make a complete transformation of the building in both the way it looked and the way it treated the environment,'' Travis said. Laurentide's energy performance has been estimated to be 24 percent lower than the baseline of the national code for energy efficient design. About 83 percent of the project's construction waste was diverted from landfills through a waste reduction and recycling program, and renovation crews salvaged 86 percent of the existing structural frame and shell. The building boasts a new water system and an advanced cooling design called a chilled beam system that is economical and reduces fossil fuel emissions, Travis said. Even small changes, such as air dryers instead of paper towels in restrooms, contribute to the building's sustainability and make it a clean, environmentally friendly workplace, he said. Leonardo Academy, a nonprofit sustainability organization based in Fitchburg, worked on the Laurentide project with UW-Whitewater, architect Strang Inc. and general contractor J. P. Cullen & Sons. Laurentide's LEED achievement reflects a steadfast campus commitment to sustainability and environmentally friendly practices. UW-Whitewater's newest student residence, Starin Hall, won LEED gold certification in 2011, and solar panels continue to produce electricity atop Timothy J. Hyland Hall, home of the College of Business and Economics. Deloitte Study Says Energy Efficiency as Important as Brand Building; Leonardo Academy Supports LEED Platinum Certification of Service Employees International Union HQ. A grant from the U.S. Environmental Protection Agency (EPA) to Farmland Management Services (FMS) has helped reduce diesel emissions across six of the company's Wisconsin cranberry farms. The grant, awarded under the EPA's National Clean Diesel Funding Assistance Program, has curbed the amount of particulate matter and nitrogen oxides emitted by diesel engines on farms which can cause adverse health effects. There are currently between 9,000 and 11,000 stationary diesel agricultural engines operating throughout central Wisconsin. Older diesel engines are more likely to emit particulate matter and nitrogen oxides. Particle pollution created by diesel engines contains microscopic solids or liquid droplets that are small enough to infiltrate the lungs and bloodstream. Smaller particles tend to cause more serious health problems. Particles 10 micrometers in diameter or smaller, which are regulated by the EPA, pose the greatest health risks. Nitrogen oxides are covered under the EPA's National Ambient Air Quality Standards, which were first set in 1971 under the Nixon administration. Even very short-term exposure to nitrogen dioxide, a highly reactive nitrogen oxide that forms quickly from engine emissions, has been shown to cause adverse respiratory effects including airway inflammation in healthy people and increased respiratory symptoms in people with asthma. The FMS emission reduction projects were just part of a range of projects that benefitted from the $900,000 EPA grant. Each project reduced dangerous emissions from diesel engines through idle reduction technologies or engine repowers on ferries, long haul trucks, school buses, and stationary irrigation pumps. Leonardo Academy, a nonprofit organization that provides consulting and solutions across a wide range of sustainability-related issues, prepared and submitted the grant application to the EPA on behalf of FMS and several other organizations. Upon receipt of the EPA funds, Leonardo Academy acted as the administrator and fiscal agent for the grant funds. "Leonardo Academy is dedicated to developing sustainability strategies for people, companies and organizations that engage progress in environmental and social equity achievements in driving economic success," said Leonardo Academy President, Michael Arny." Part of Leonardo Academy's goal in advocating the EPA's National Clean Diesel Campaign is to improve air quality by reducing emissions from all types of diesel-fueled engines throughout Wisconsin. " FMS manages about 48,800 acres of tree and vine crops in Wisconsin, Washington and California, and has taken an aggressive approach to reducing diesel emissions across its operations. "We are privileged to receive this award from the EPA," said Steve Hahn, Area Manager for FMS. "FMS is committed to improving the communities and environments in which we operate. This project is one example of the many steps we take to reduce emissions and achieve better fuel efficiency from diesel engines in our operations throughout the country." FMS has also made efforts to eliminate the burning of orchard residues, estimated at between 40,000 and 100,000 tons per year. Nearly all tree limbs from pruning or tree removal are now pulverized in the field and returned to the soil or used as a dust suppressant on farm roads. Leonardo Academy announced its new alternative fuel locator mobile app, Cleaner and Greener® Fuels. The app is free of charge and provides a series of interactive maps that locate alternative fuel stations across the United States via a smartphone or mobile device. The app can be downloaded from both the iTunes App Store and the Google Play Store (the Android market) or the Cleaner and Greener® website. The Cleaner and Greener® Fuels app provides alternative fuel station information and routes for the following alternative fuel types: Electric, Compressed Natural Gas (CNG), Biodiesel, Liquefied Natural Gas (LNG), E85, Liquefied Petroleum Gas (LPG or Propane) and Hydrogen. The data was obtained from the Department of Energy’s Alternative Fuels & Advanced Vehicles Data Center (AFDC). According to the AFDC, there were over 850.000 alternative fuel vehicles driven on U.S. roads in 2011, a number which will certainly increase in the near future as more people are seeking to reduce dependency on conventional fossil fuels. Cleaner and Greener® Fuels supply these drivers with directions to fuel stations across the country, as well as other helpful information such as access restrictions, blend types, payment methods accepted and web links, when available. To ensure the accuracy of its data, Cleaner and Greener® Fuels starts with fueling locations verified by the AFDC. Users and station owners are also encouraged to expand the database by submitting additional stations and details directly through the Cleaner and Greener® website. The Valley Ridge Preserve is a 145-acre parcel located in the non-glaciated part of southwestern Wisconsin, near Richland Center. Now Leonardo Academy, a company that offers sustainability services, wants to restore the prairie and make a pictorial record of the restoration project at the Preserve. And it's hoping to raise funds for the initiative through a Kickstarter project, through which anyone can lend their financial support. 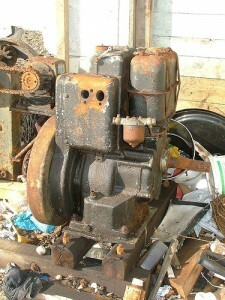 The restoration will take four years to be completed. The period will cover the planting, growth and flowering of the prairie. But the project needs the funding in order to sprout. "We only get the pledged funds if we reach or exceed our funding target, so we are counting on people to make pledges to support the project and receive project pledge rewards," said Michael Arny, the Academy's president. Prairies are part and parcel of American history and iconography. The term comes from the French word for meadow, since the first settlers did not have a specific word for this type of grassland. Before Europeans colonizers arrived in the 1880s, the ridges and valleys of this preserve were covered with a mix of prairie, oak savannah, sugar maple and elm woods. Now only 0.5 percent of the prairie is left. 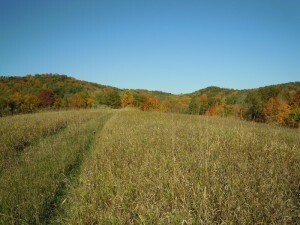 The Valley Ridge Preserve was permanently protected from development in 2003 by a conservation easement through the Driftless Area Land Conservancy. "The Valley Ridge Preserve is a very special place. Additional support beyond our goal will enable us to plant more acres of prairie and plant a greater number of species," said Leonardo Academy's Sustainability and Emissions Services Manager, Barbara McCabe. Besides their intrinsic value, conservationists in the Midwest are working to protect prairies to help save another icon that needs it in order to live: the Prairie Chicken. The majestic bird, which was ubiquitous across the American Midwest, is now threatened by loss of habitat to farmland. Efforts have been focused on the preservation of habitat for the bird, whose mating dance ritual is widely admired. There's an annual festival dedicated to the Prairie Chicken, which takes place in April in Cassoday, Kansas. Please follow the link to visit the project's Kickstarter page.